With the correct drainage system installed you can protect your house from water damage. The article below provides information about how to identify these drainage problems and how to solve them. A drainage problem is very damaging. 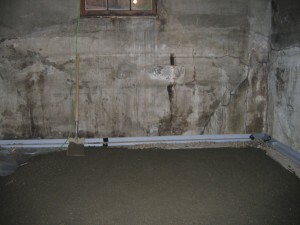 Water can cause many problems to the house foundation, basement, and more. This doesn’t only affect the value of the property but also represents a hygiene problem. 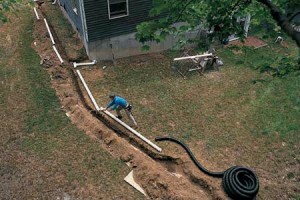 It is important to install and maintain a good drainage system. 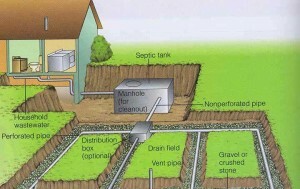 In order to indentify the drainage problem you first need to locate where the water comes from. Once you know the source of water you can repair the old drainage system or build a new one. Excess water represents a problem especially if the house is on a sloped area. Also excess water pouring from the roof can cause accumulations of water. 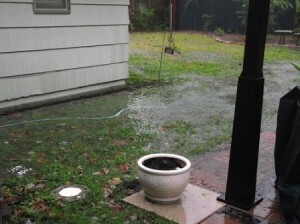 Usually a flooded backyard is like that due to a broken pipeline or because of water pouring off the roof. What you need to do is start noting the sources of water clogging. Go make a checking on the gutters and downspouts. Clean them if it is needed. After that verify the slope of the property. See where the water is directed in the end, to a drainage system or a storm drain system. The latest enemy in the yard is excess mulch that traps moisture. In order to fix the problems you need to implement some solutions. For example the French drainage. This is a very popular and easy to implement solution. It involves digging a trench at the base of the flooded area. Then you must only wait for the water to be collected. Another good solution and also effective in hard situations is the sump pump. The sump pump for example will accumulate in its pit the water that will be pushed up from below the ground. Then with the use of underground pipes the water will be diverted away through pumping. The final destination of the water is the city storm drain or something else. When there is no access to storm water drainage then the appropriate solution is to install a dry well. The fabric and gravel inside the dry well will allow water to get inside the ground.